The moisture in oil hand-held OILPORT 30 measures water activity aw, temperature T and calculates the water content x (ppm) in different oils. Up to ten sets of oil specific parameters can be stored and managed in the device. These parameters are used for accurate water content calculation in a certain oil. The simple and intuitive operation via TFT touch screen and the built-in data logging function make the OILPORT 30 hand-held the ideal tool for fast and reliable oil analysis. 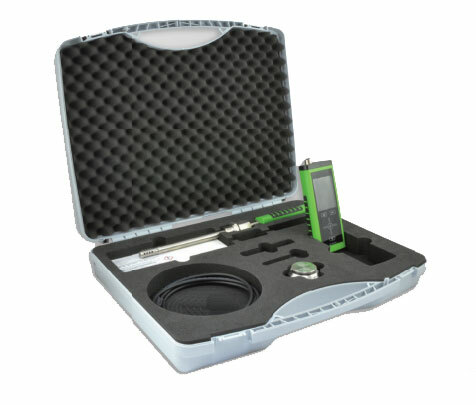 The set comes in a practical carrying case for safe storage of the device, probe and accessories. The optional calibration kit is used for easy 1 and 2 point adjustment of the aw reading.